Anyone can write a blog. It is that easy. 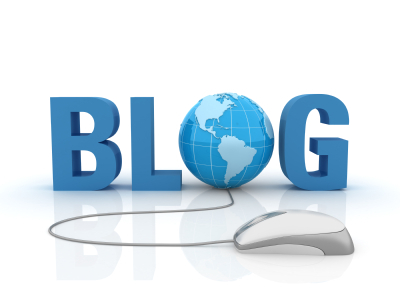 Writing a successful blog is where hard work as well as a stroke of genius is required. However, even if you find the genius in you has gone into sleep mode, there are tricks of the trade that can be learned. By knowing what it takes to write a successful blog, you can incorporate that into practice and make your blog into a popular, lucrative one. 1. Have a specific theme that you are going to write the next 5000 blogs of your life on: Sure, what you really want to write are “My Ramblings” and “My Crazy Life” etc. But, if you really want to make your blog popular and lucrative, better write on a subject that is in some way common to you and everyone else. For example, you can write a blog on pets by using examples of your dog. However, don’t make it only about your dog. You can write a blog about dating, make-up, parental loss, and separation etc. It has to be on anything that you know well about, and can write interestingly for many, many blogs to come. When you design your blog, make your theme loud and clear. It is good to personalize, but you are also trying to sell a product. Therefore, your blog comes first and you second. 2. Take the time to properly plan and design your blog. You may be the next Charles Dickens, but poor presentation is going to ensure that readers stay firmly away from your blog. Therefore, you need to get creative and design your blog according to its theme. (Check out LSB’s WordPress themes to get an idea!) You can also create templates and add any image or media file to enhance the presentational effect. However, beware of copyright issues relating to intellectual property. It is best to get in touch with the artist for permission, or even better to use your own artwork. 3. Be semi-casual in your personal profile: You can promote your blog through social networking websites and forums. You have to actively participate in social media marketing, including commenting on other blogs. Be sure to provide your blog link with every comment. The best way to promote your blog is to network with people who have similar interests. Writers are more likely to read blogs on writing. Being active on gardening forums will bring more readers to your gardening blog. 5. Be creative, well-researched and be regular: You can’t blog once in a blue moon and expect to be successful. If not daily, you should at least write once a week. You should keep the trend of the times in mind. Do not write about swim wear during Christmas. Also, be creative. Have an original, individual take on your theme. You may be the ten-thousandth fashion blogger on the web, but your take on skirts has to be different from others. Make your blog interesting by using images, preferably taken by you so as to avoid copyright issues. 6. Make it lucrative: Anything can have a selling point. If you are a new mother blogging about taking care of your baby, you can promote baby-related products through your blog to make it lucrative. Nowadays, people are likely to believe reviews by bloggers than unrealistic TV commercials. People are more than willing to promote their products through online marketing, and if you find they are worth the money, why not spread the good word? You can also earn a commission by advertising other blogs and websites (a form of affiliate marketing). Just remember that everything has to be related to your all important theme. Building a successful blog requires as many skills as writing a novel, making a film, building your own business or any other worthwhile venture. If you are willing to make the effort, you are sure to make a successful blogging career. About the author: Brianne is a blogger by profession. She loves writing on luxury. Beside this she is fond of books. She recently bought a sports car. These days she is busy in writing an article black pearl earrings for her blog. I’m already into part-time magazine writing, and I’m happy that I found this article that can help me start my own blog. Very helpful! These strategies will surely help me not to be bothered with what am I going to write for the next weeks or days. I think the first thing that I will do is to look for a perfect theme that is suitable for my blog. Thanks for these amazing tips. These are great tips for bloggers like me. I find this blog very useful to read. I finally found effective ways to write an interesting blog. Thanks for this post! As what bloggers always say, you should be motivated and inspired in order for you to create a successful blog. The tips enumerated in this article will finally give bloggers answer to their problems. I’m a type of person who is fond of reading blogs and I noticed that most people are interested when it is about entertainment or sharing of some true to life stories. Thinking of a topic is one of the problems that I always encounter in blogging. It’s frustrating every time I’m stuck in front of my PC while thinking of what to write. I don’t have a problem when it comes to content. There are a bunch of crazy ideas running in my mind.